In May 2011, more than a year after the first launch of Tiger! Tiger! Gallery & Exhibit at the Oriental Village, we opened the Bolaven Cafe Langkawi specialty coffee outlet. Cultivated in the pristine environment of the Bolaven Plateau, Bolaven Farms produced the finest coffee on the volcanic plateau in southern Laos. These beans are acquired off specially trained farmers at fair trade prices before they are roasted in Hong Kong. Acquisition of coffee at fair trade prices sometimes translates into higher coffee prices but these beans are worth every penny of it. Back on Langkawi, the coffee served at Bolaven Cafe has a rich aroma and each sip yields a hint of chocolate and caramel, making it amongst the best coffee served on the island. Some say: "the Best Coffee on Langkawi." Tiger! Tiger! 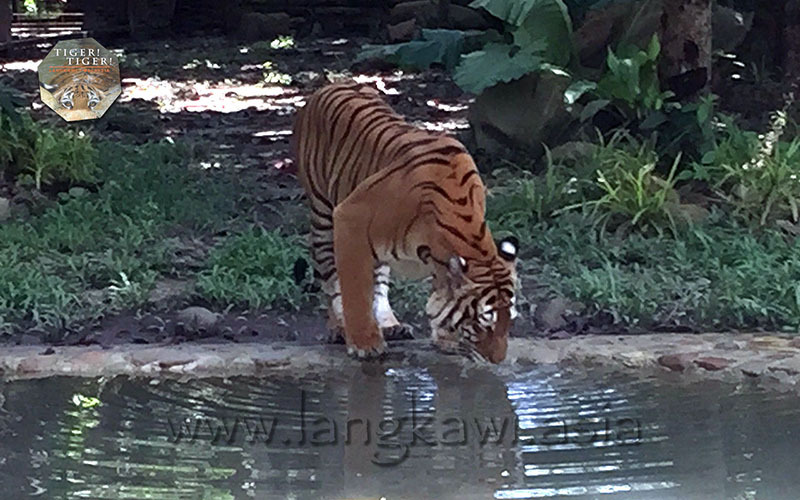 and Bolaven Cafe Langkawi operated concurrently from May 2011 until the tiger exhibit was closed in April 2014. 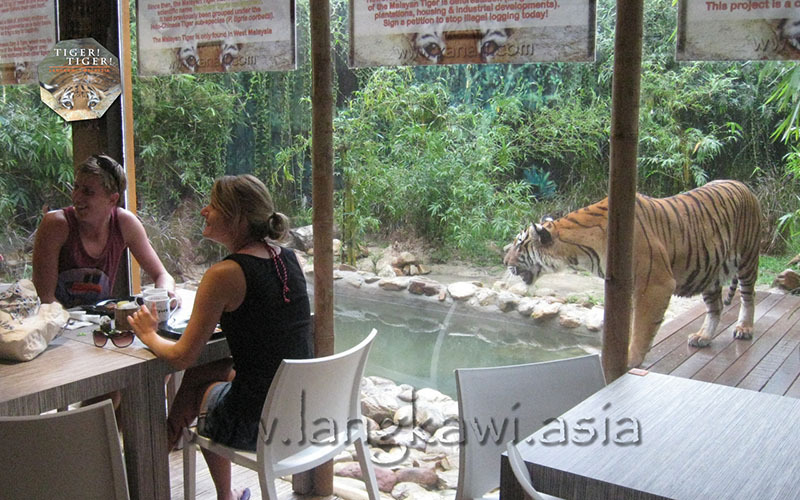 Tess gave Bolaven Cafe Langkawi one of the better compliments on Trip Advisor, saying"Tiger! Tiger! + Coffee! Coffee! 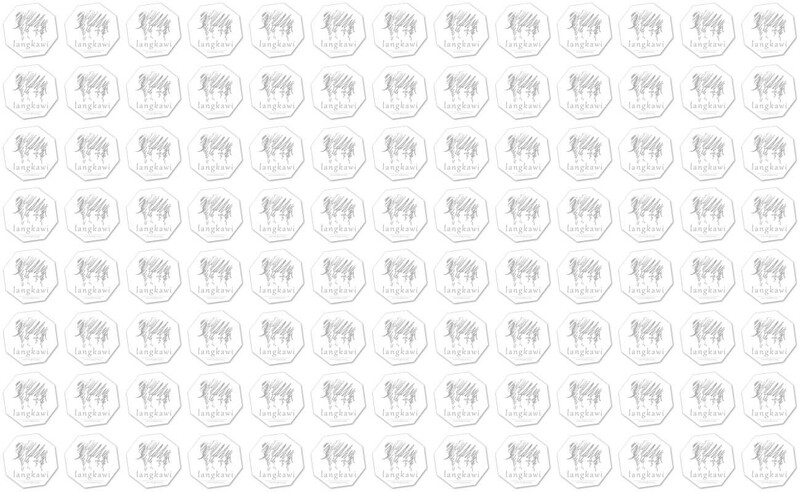 = Total Bliss! Regardless, the cafe and tiger exhibit combination was unexpectedly popular amongst visitors to the Oriental Village that guests are still searching for the "Tiger Cafe," even though the tiger exhibit was closed April 2014 (and since relocated to new grounds). Themed F&B outlets are now common features within zoos and the unexpected popularity of our first such cafe collaboration has given impetus for us to recreate the same--but better--experience for both guests and tigers. Works on the revamped Tiger! Tiger! 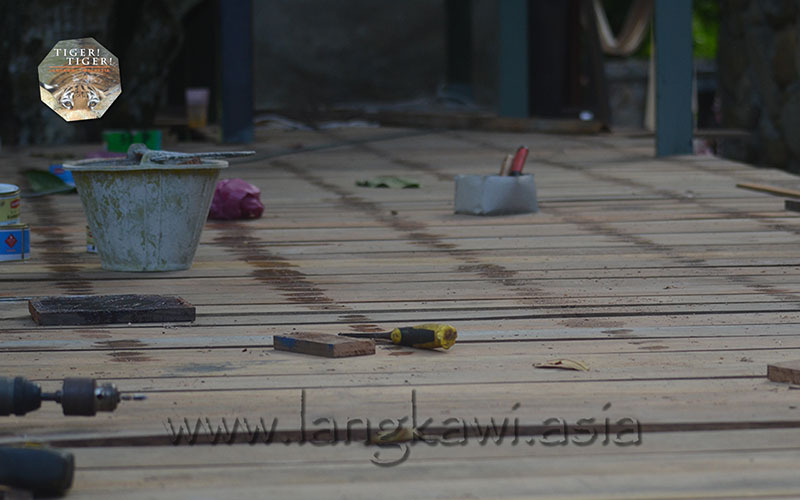 Cafe continues and is expected to be operational before the 2016 Chinese New Year. 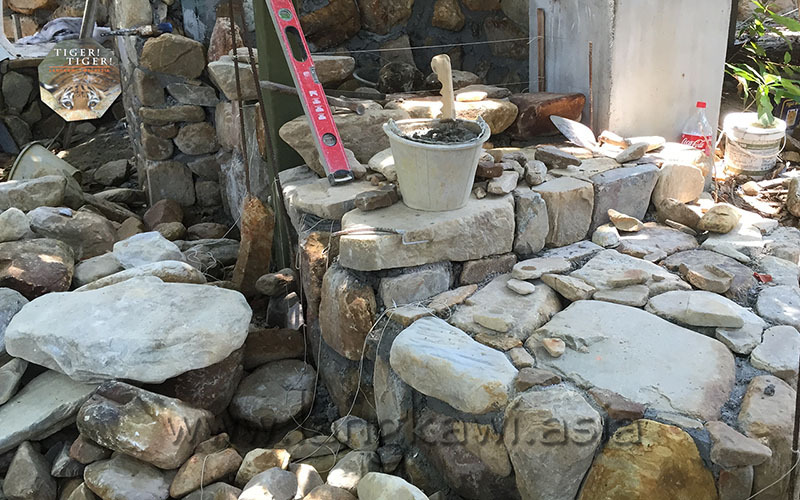 Rocks will feature prominently into the bases of the Cafe, stairs and walkways. These rocks may date as old as Gunung Machincang itself: 550 million years old. Locally made Portland cement glues these rocks together to form strong, sold bases and walls. Other reclaimable materials used for the cafe include timber and steel structures. 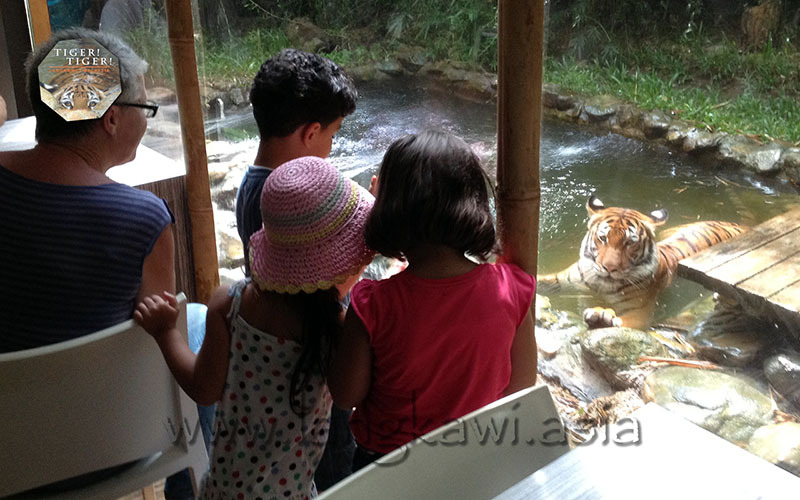 Guests will be able to observe and experience our "Tiger Encounters" from behind glass panels, as before. 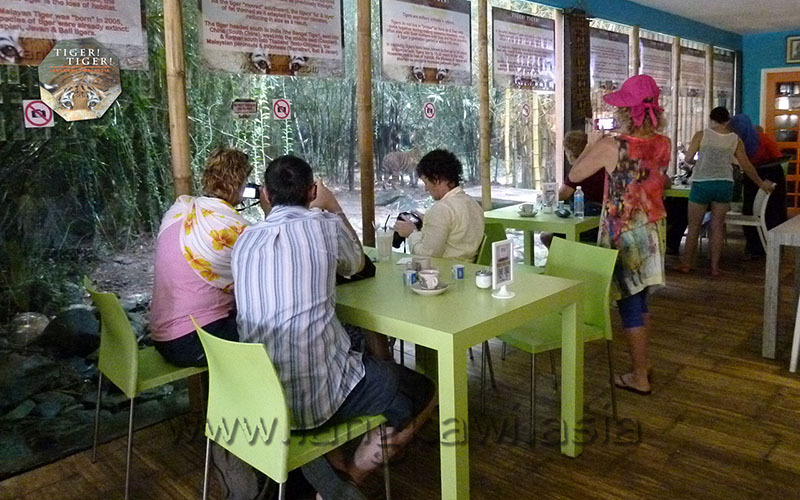 Despite closure of the tiger exhibit in April 2014, guests to the Oriental Village continue to look out for the "Tiger Cafe." Please be patient as we redevelop this "tiger experience" and check back soon.